Mrs. Margo Dean Boardwell, age 80, passed away Wednesday, January 3, 2018. She was born in Whitehall, Michigan on November 25, 1937 to Swen & Marguerite (Margrave) Alfredson and graduated from Whitehall High School in 1955, and further education was in the field of Library Science and Performance Technology. Margo married Edward Boardwell on October 4, 1958, returning with him as he fulfilled his remaining two years in the Navy. Mrs. Boardwell had been employed for 30 years at Alcoa Howmet in Whitehall, retiring from the position of Manager, Training, Education, and Technology. 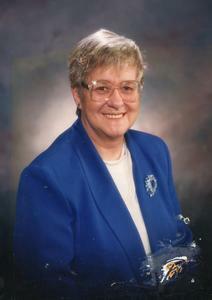 Margo served as Librarian for the City of Whitehall in the late 1950's. Margo was active in the Montague United Methodist Church, Girl Scouts, serving as Service Unit Director, and also renewed her Water Safety Instructor's certificate and taught swimming to adults and children. She is survived by her husband Ed, and three children, Deborah (Lavern) Colby, Cynthia Price, and Douglas (Tracy) Boardwell. She also has five grandchildren, Greg Colby, Christopher Price, Sarah (Josh) McGuire, Douglas Boardwell II, and David Boardwell; brother-in-law, Norval (Janet) Boardwell. She was preceded in death by her parents. Private services will be held. MEMORIAL: Margo would like people to honor her memory by contributing to the Humane Society of Michigan.